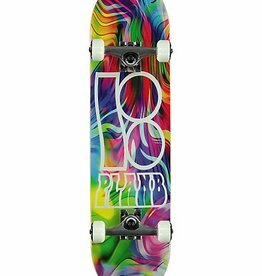 Team Wavy 8.0" Skateboard Complete by Plan B. Plan B "Team Wavy" icon graphic and logo text with colorful psychedelic colorway. Plan B 52mm 95a graphic wheels.